MS® mixed cellulose ester(MCE) membrane filter and cellulose acetate membrane filter are ideal for Colony Counting and Sterility Testing. 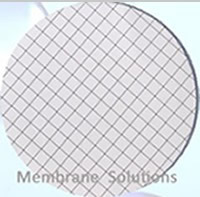 MS sterile gridded MCE membrane filter is unsupported, naturally hydrophilic membrane. MS® MCE membrane filter are composed of cellulose acetate and cellulose nitrate, which has made it one of the most widely used membranes in analytical and research applications. 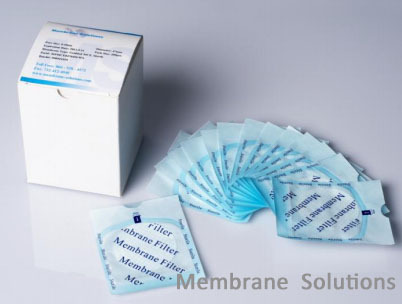 MS® Cellulose acetate(CA) membrane filters are composed of pure cellulose and its very low protein binding capacity makes it ideal for protein filtrations, tissue culture media sterilization, and biological fluid filtration. Gridded membrane perfectly for microbiology analysis. 0.1um to 5.0um pore size for different microbe analysis. Individually sealed with easy-open blue separator paper. Clarification of aqueous removal and analysis, microbiology analysis.